Cleft lip and/or cleft palate. A separation that occurs in the lip or the palate (roof of the mouth), or both. Cleft lip and cleft palate are the most common congenital craniofacial anomalies seen at birth. Craniosynostosis. A condition in which the sutures (soft spots) in the skull of an infant close too early, causing problems with normal brain and skull growth. Premature closure of the sutures may also cause the pressure inside of the head to increase and the skull or facial bones to change from a normal, symmetrical appearance. Vascular malformation. A birthmark or a growth present at birth, composed of blood vessels that can cause functional or aesthetic problems. Vascular malformations may involve multiple body systems. There are several different types of malformations, and they are named according to which type of blood vessel is predominantly affected. Vascular malformations are also known as lymphangiomas, arteriovenous malformations and vascular gigantism. Hemangioma. A type of birthmark; the most common benign (noncancerous) tumor of the skin. Hemangiomas may be present at birth (faint red mark) or appear in the first months after birth. A hemangioma is also known as a port wine stain, strawberry hemangioma and salmon patch. Deformational (or positional) plagiocephaly. A misshapen (asymmetrical) shape of the head (cranium) from repeated pressure to the same area of the head. Plagiocephaly literally means "oblique head" (from the Greek "plagio" for oblique and "cephale" for head). As one of the country's first and leading craniofacial centers, the Craniofacial Center at the Children's Hospital at Montefiore attracts patients from around the country and abroad, offering patients access to internationally recognized physicians and our highly skilled multidisciplinary team, a range of leading-edge advancements in craniofacial care and information to put both parents and children at ease. 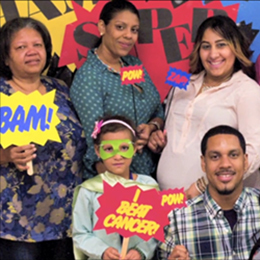 We invite you to explore this site to learn more about the Craniofacial Center at the Children's Hospital at Montefiore and why the work we do here has long been a source of help and hope for thousands of parents across the globe. &amp;amp;amp;amp;amp;amp;amp;amp;amp;amp;amp;amp;amp;amp;amp;amp;amp;amp;lt;p&amp;amp;amp;amp;amp;amp;amp;amp;amp;amp;amp;amp;amp;amp;amp;amp;amp;amp;gt;Your browser does not support iframes.&amp;amp;amp;amp;amp;amp;amp;amp;amp;amp;amp;amp;amp;amp;amp;amp;amp;amp;lt;/p&amp;amp;amp;amp;amp;amp;amp;amp;amp;amp;amp;amp;amp;amp;amp;amp;amp;amp;gt;style="float: left; margin-right: 10px;"